October brings the start of Autumn, along with one of our favourite holidays, Halloween, and this year there's a little something for everyone in London. If you're in the mood for spooktacular soirée, make your way to Long Bar to party in the dark of the night. 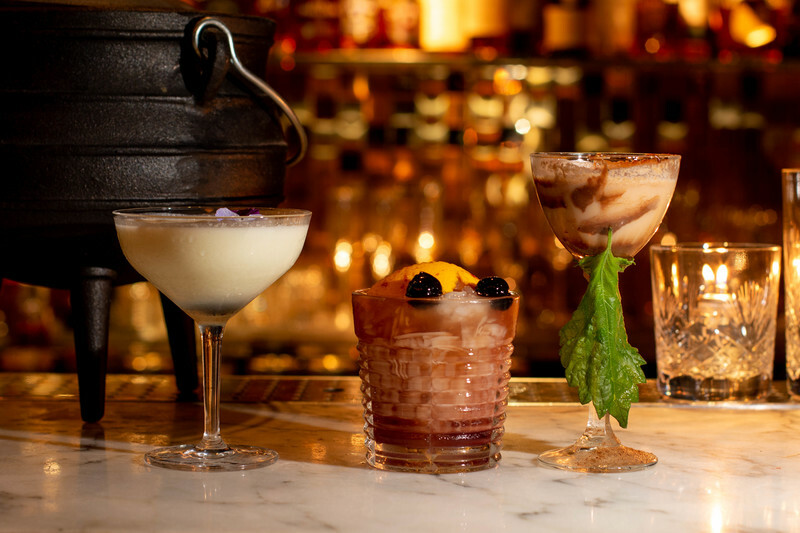 Head on over to Blind Spot to enjoy a glass of Hocus Pocus or jump down the rabbit hole to Malice in Wonderland and revel in its macabre spectacles at Rumpus Room. Either way, prepare to be spooked. Don your most spooktacular outfits and gather together your guys and ghouls to celebrate the much-anticipated and blood curdling night of the year in supernatural style. Venture to Long Bar and embrace the darkness at our Spooktacular Black and Yellow Soirée - if you dare that is. With a DJ set to entertain you and an ominous black and yellow ambience, prepare to revel in the eerie wonders of All Hallows' Eve through death defying decadence. 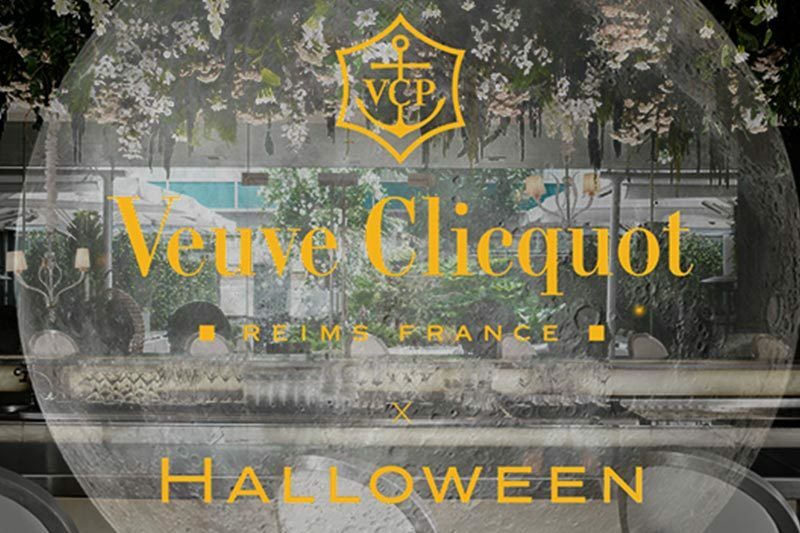 Face the fear with a complimentary Veuve Cliquot cocktail on arrival for just £20. Guys, girls and ghastly ghouls, gather one, gather all and join us for a spooktacular evening. Enjoy a glass of Hocus Pocus or sip on The Confessor or the Casper Survivor for just £13 each, and celebrate Halloween in spine-chillingly good style. Available from 26 - 31 October. Hot off the press: Rumpus Room will be throwing a Halloween party that is set to rival all others. Tumble down the rabbit hole to Malice in Wonderland and revel in its macabre spectacles. For one night only, our glamourous rooftop bar will be transformed into a twisted fantasy. With acts ranging from the gruesome to the titillating and downright scandalous, guests are advised to leave their inhibitions at the door and party the night away (with a cocktail in hand, of course) and have a frightfully good time at the ultimate spine-tingling soirée. Doors will open from 7:30pm and entry tickets are priced at £40 per person. Please join us from 7.30pm until 8.30pm and enjoy a complimentary welcome cocktail. Table bookings are available and further details to be announced shortly. Costumes are mandatory. Please note that all guests should be over 21 and may be asked to present ID on the evening. To book, please click here.